The three trains will replace a number of older grinding machines that are coming to the end of their life. The new models cost £1,000 less per shift to run, deliver 35 per cent more output, have increased reliability, better welfare facilities for the teams working on them and are expected to last for the next 30 years. Modular design also means replacement of parts and components can happen much quicker, which in turn reduces down time of the machine. 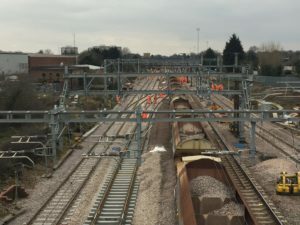 “This has been a fantastic example of different parts of the rail industry working together to deliver new and innovative solutions which ultimately improve the railway for passengers. By working together we have been able to deliver a safer, more cost-effective, productive machine which also provides a more comfortable working environment for our people to work in. “Route services are here to provide the routes with the best equipment possible to help keep their railways running. 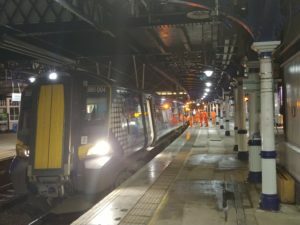 The old machines were becoming unreliable and inefficient so the investment in the new grinding trains was absolutely essential to keep the tracks in good condition to minimise the chance of defects and to keep passengers safely moving across the network.